Hi guys, Tessa here! 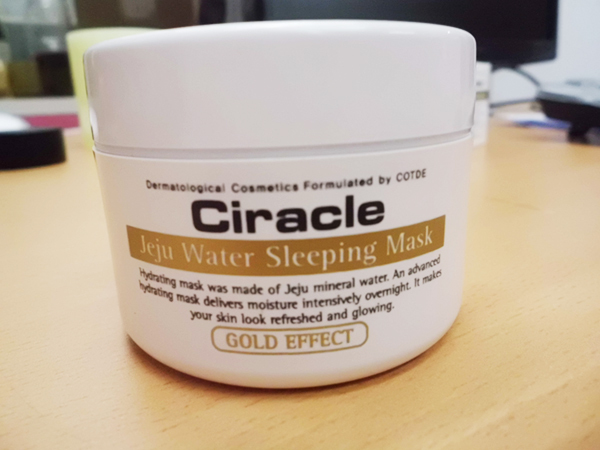 Today I’m back with a Ciracle product: Jeju Water Sleeping Mask ($31.99, 80ml). 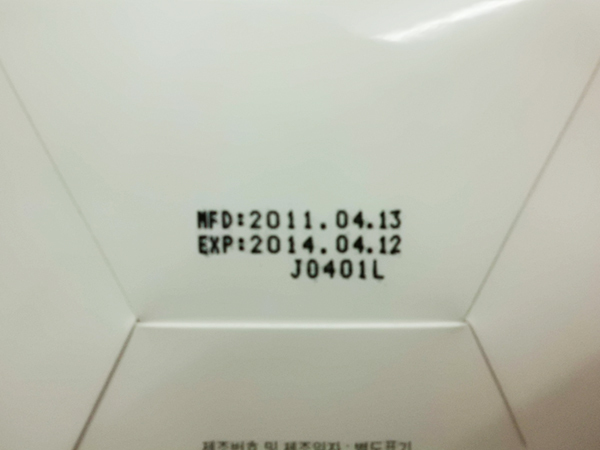 I was soooooo eager to review this product!! Why? Because first, I have very very dry skin (of course a bit oily around the T-zone area, but not so much that I need to carry around blotting paper with me all the time), and second, because it says it has GOLD in it. Yes! Gold! Can you believe that?! I was impressed by how much product is contained in this jar. On the outside it looks like the size of your normal average moisturizer/cream jar. 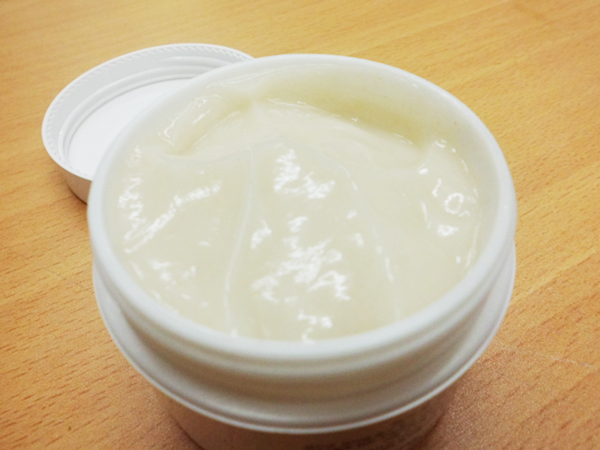 But it contains 80ml of product: almost twice the amount of an average cream jar (average is about 40-50ml. Benefit Dear John contains about 60ml—you get the idea). The product may LOOK small, but has a lot of product, so the price seems reasonable. So it’s like getting two 40ml-jars for $16 each! I’ve noticed how Ciracle focuses more on the product quality than the packaging, which I certainly appreciate. Many beauty/skincare products focus too much on packaging and marketing that…sometimes make me doubt what exactly I am paying for. Especially when it’s a skincare product, you don’t carry it in your purse and flash it around to your friends. And we girls can get pretty naïve when it comes to things that are cute and pretty (or rather, flashy and gorgeous, and expensive, lol). But this little jar containing 80ml of cream, considering how effective the results are, definitely tells you that there is NO bubble to the price. 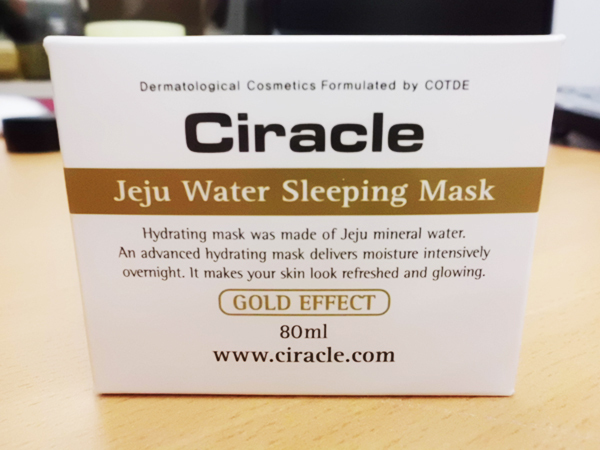 Ciracle says that this product is a hydrating mask that delivers moisture intensively to the skin overnight, making your skin look refreshed and glowing. It is a simple and easy way to revitalize your skin without having to wash off the product. 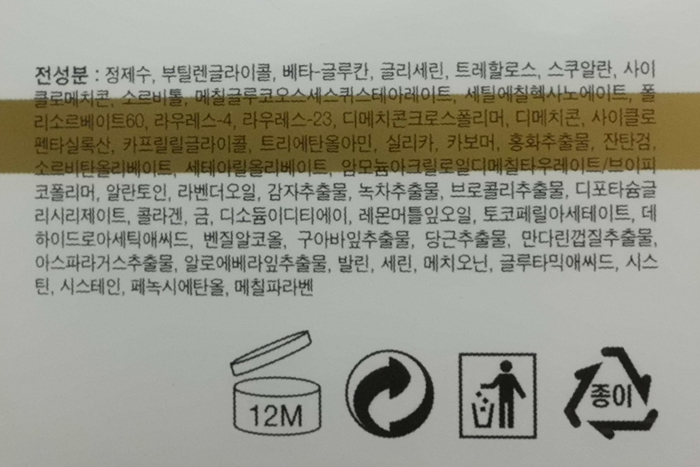 It contains pure gold, qualified plant extracts, and clean mineral ingredients from Jeju island water. The product works great on droopy skin, tired skin, and dry/tough skin. It gives a soothing effect for sensitive skin as well. The gold helps to revitalize skin, prevent skin trouble, and protect skin from toxic substances from daily activities/environment. Apply the mask pack after toning. Spread and gently massage overall on the face. Sleep with the mask on, no need to wash it off. The “no wash off” method got me excited. I’m lazy, and I’m sure many of you girls (and boys) are also (if not, your lying!) Plus, my daily moisturizers were just not enough for my nighttime skincare routine, especially for the dry fall/winter season. I needed something with more umph in the moisturizing level. My search had been a fail (that is, within a reasonable budget, of course)…until now! After washing and toning my face, the mask was the only thing I put on before going to bed. The next morning, I was totally surprised by how my skin looked! Brighter, smoother, firmer, dewy…and the redness from irritation/pimples calmed down big time. 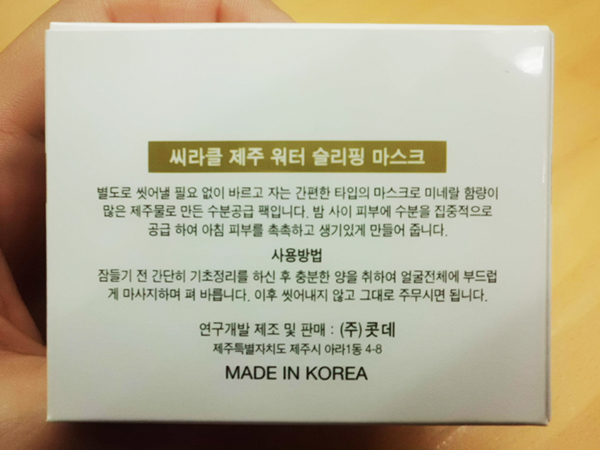 The product is a grayish ivory colored semi-gel, semi-cream form with micro gold particles. The gold is very finely grinded that you do not actually feel it when spreading it on skin. Unfortunately, neither the product nor the official website states how much percentage gold is actually included. But the grinded gold is visible with the naked eye. The mask has a very citrus-ey fragrance to it. And on the face it had somewhat of a metallic smell to it, too (figuring it comes from the gold). That is the only downside I’ve experienced with this product. It’s not terribly strong or anything (I have smelled worse from a lot other moisturizers), but it can be a bit overwhelming for those who are sensitive to smell. Expect for that, I am absolutely in LOVE with this product!